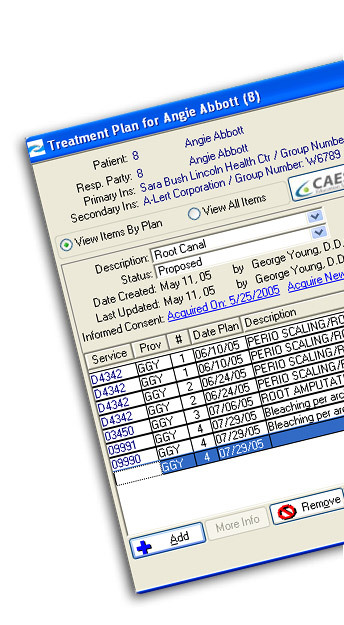 Treatment planning recommendations are a breeze with Patterson Eaglesoft Treatment Plan. Easily explain the potential financial impact of a treatment with insurance coverage estimates and images attached to the plan. Even capture informed consent with a digital signature. Present clear and concise treatment plans and treatment plan options to your patients.